R.H. Witt Heating & Sheet Metal is a full-service HVAC company and electrician serving homeowners in Highland Park, IL and the surrounding area. We’re a BBB accredited business and a Carrier Factory Authorized Dealer. Our team of specialists aims to provide expert heating and cooling solutions to earn your total satisfaction. Contact us today to schedule an appointment, or call for emergency assistance. Before the start of each new season, schedule a system tune-up with R.H. Witt Heating & Sheet Metal. Regular maintenance prevents costly repairs and breakdowns. Our technicians are NATE- and EPA-Certified. Through proven procedures, we restore the system to peak efficiency and operation. Our customers enjoy convenient scheduling, a lifetime warranty on workmanship, and a 100% satisfaction guarantee. Contact us today for heating service and air conditioning service in Highland Park. R.H. Witt Heating & Sheet Metal is available 24/7 for emergency service. If you’re experiencing any issues with your air conditioner or heating system, contact us for air conditioning repair and heating repair. A simple malfunction can lead to major repairs, disrupted comfort, high monthly bills, and safety risks. Call us anytime for HVAC repair service. As a Factory Authorized Dealer, R.H. Witt Heating & Sheet Metal is qualified to offer the latest heating and cooling products from Carrier, including geothermal systems. 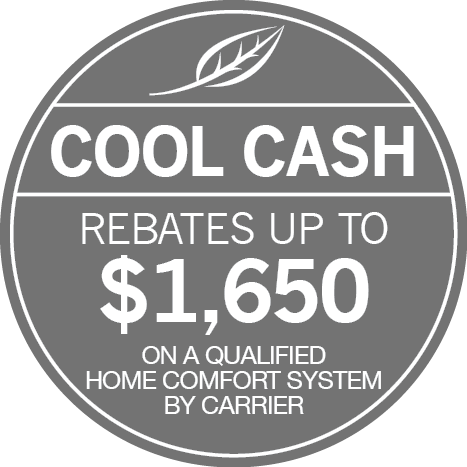 If your furnace or air conditioner is more than 10 years old, contact us for heating installation and A/C installation. We receive continual training in order to provide relevant recommendations with accurate sizing and implementation. Schedule an appointment today!